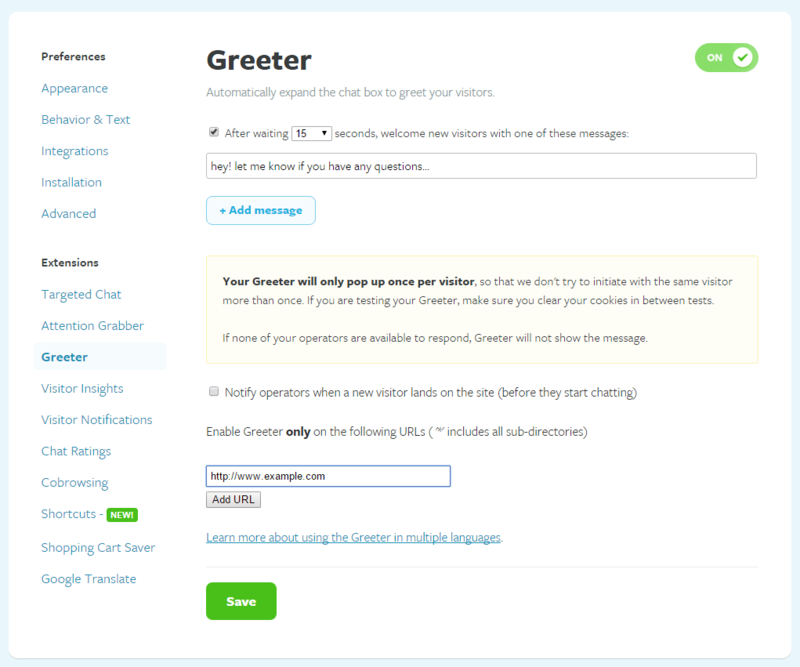 Welcome new visitors to your website by automatically sending a greeting. 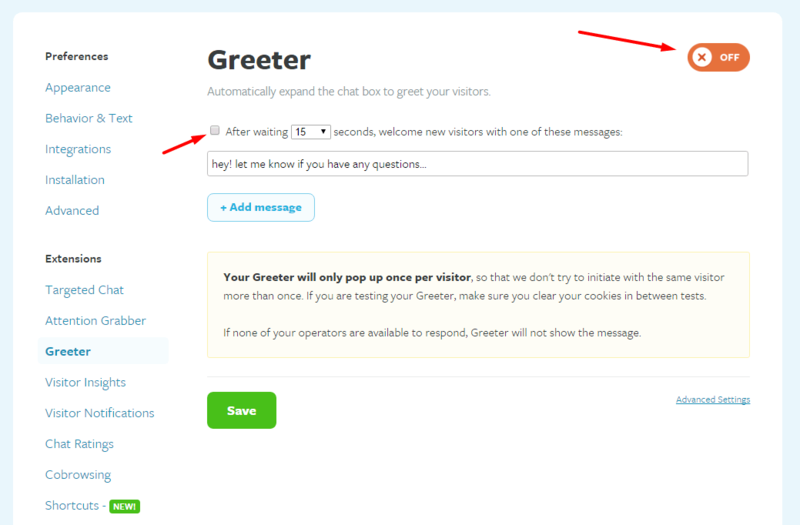 Go to your Greeter settings and create a message that will be sent to visitors when agents are available. We recommend as a best practice that you wait at least 15 seconds before greeting a customer to give them adequate time to look around the page they’ve landed on. The message will be sent only one time per cookied session so no worries about annoying anyone with repeat greetings. 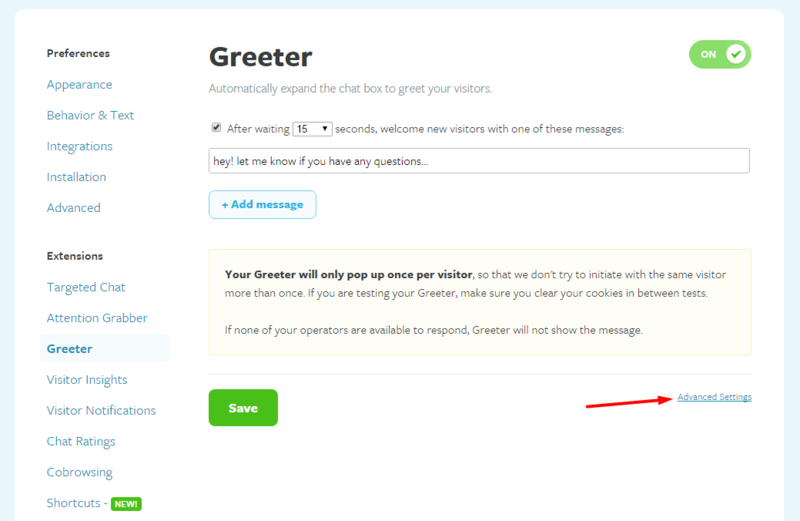 Go to the Advanced Settings section of the Greeter page. Fill in the URLs of the pages you want the Greeter to be sent on. If you would like to define even more options for sending these automated messages, you will want to use our Targeted Chat feature to do so.